Should You Buy A Short Sale Listing? It depends. 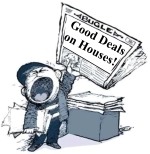 There are definite advantages to buying a short sale listing. There are also definite disadvantages. And there are some possible additional disadvantages â€“ depending on which agent you have. We will take these up â€“ one at a time. Advantages: Price and Condition. If the transaction is handled correctly, you can usually get much more home for the money than you could get otherwise. For about the same price as a lender owned home, you can buy a short sale home in MUCH better condition. Disadvantages: Time and Certainty. You donâ€™t have to talk to a lot of people to find some who will tell you to NEVER BUY A SHORT SALE. It takes forever and you donâ€™t know if the bank will ever get back to you. That can be a true statement. It can also be a false statement. This â€œdisadvantageâ€ is largely dependant on the point below. Possible Additional Disadvantage: Incompetent listing agent. This is probably the single biggest variable currently. If the listing agent knows what they are doing (and many listing agents do a wonderful job in this area) communication to the bank is effective and efficient. If they donâ€™t have experience, pricing is at a level no bank will approve, communications with the bank breakdown, and the file may straggle on for 6 or more months only to be denied. How does a buyer combat this final disadvantage? Know your agent and make sure they have an interview sheet for the listing agent so they can determine the probability of a successful close. While this is no guarantee, it is possible to significantly jump your odds of obtaining the short sale home of your dreams.